No idea what this plant is called, but it’s flower is just awesome, red and yellow. I was on my way out this morning and spotted it near the swimming pool. So beautiful! So much prettier than the Birds of Paradise her. Ours look so straggler-like. Seemed to have been some debate as to the species, I’m just the photographer ! Hi Don, Don’t think that it’s a Strelitzia (bird of paradise plant). Since it’s in the tropics, I think it’s a Heleconia, which is pollinated by hummingbirds. Great picture, thanks. Hmm, if you look at photos of Bird of Paradise (strelitzia), they’re not quite the same. Look what you’ve started with your pretty photo! It’s beautiful! I think it’s a species of Bird of Paradise. I couldn’t be sure, but I’d bet on it! 🙂 They are spectacular flowering plants–real show stoppers! Just never seen anything like it, and yes you could well be right … I’ve photographed this exact same plant before, never expected this ! 🙂 As always, the Don is welcome. Awesome!!!! Don, You must be really kidding now; I am just reblogging / reposting posts I like – copy/paste – nothing is mine. Any one can do it Don. You know it better. Nevertheless, I am doing it happily. LOL, just totally behind on everything dude, but don’t worry I’ll catch up sooner or later … me time was needed ! Honour is mine. Thanks to you too, Don. Entire exercise and experience are quite new to me and feeling much happier. Please carry on. I may be wrong, but I think it’s called Birds of Paradise. I’ve a suspicion you could be right ! Lovely flower, alright. Looks a bit like a bird? It’s called Bird of Paradise flower, and it is found in the tropics. Pretty, isn’t it? 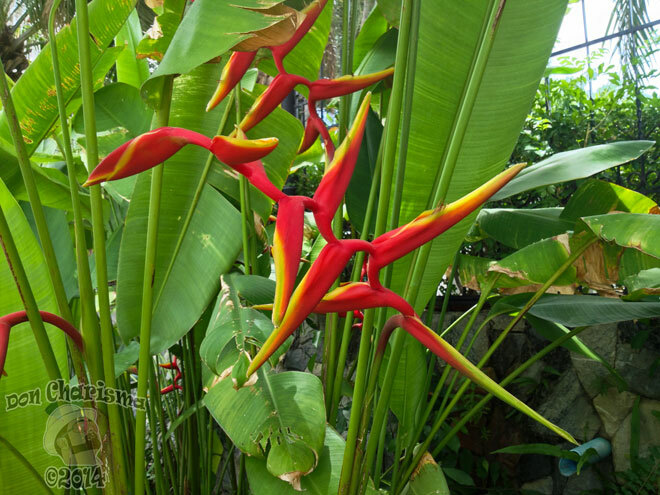 It reminded me of a similar plant found in the Philippines— called as bird of paradise. I might have seen one before too! it might be the Birds of Paradise! I never see anything like those. Stunning! Hmm, that looks somewhat like some of the ginger blossoms here in tropical Queensland. Let’s see if you have some horticultural expert reading your blog. OK, I showed your photo to a friend who is a horticulturalist (gee, that’s hard to type!). He said “Definitely a heliconia”. We have those growing around our pool. I’ll go ask the GG what they are called. He can’t remember. They are in the Bird of Paradise family though. FYI, it’s called a heliconia. Looks like a Bird of Paradise.